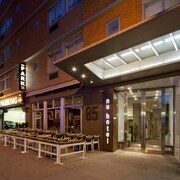 Located in Boerum Hill, this hotel is within a 10-minute walk of Brooklyn Academy of Music and Barclays Center Brooklyn. Brooklyn Bridge Park/DUMBO Terminal and Brooklyn Museum are also within 2 mi (3 km). Nevins St. Station and Hoyt - Schermerhorn Sts. Station are within a 5-minute walk. 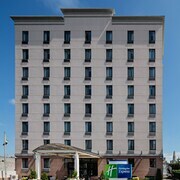 Located in Bushwick, this hotel is 2.9 mi (4.7 km) from Brooklyn Bridge Park and 3 mi (4.7 km) from Barclays Center Brooklyn. Prospect Park and New York University are also within 6 mi (10 km). Flushing Av. 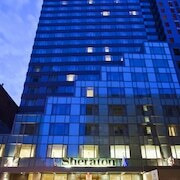 Station (Broadway) is only a 4-minute walk and Lorimer St. Station (Broadway) is 10 minutes. 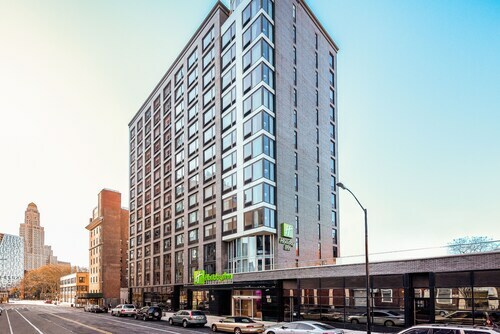 Situated in Brooklyn, this hotel is within 6 mi (10 km) of Barclays Center Brooklyn, Brooklyn Bridge Park, and Prospect Park. New York University and National September 11 Memorial are also within 6 mi (10 km). Morgan Av. Station is 5 minutes by foot and Flushing Av. Station (Broadway) is 12 minutes. 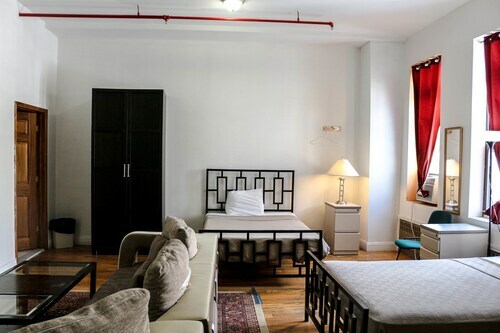 Situated in Brooklyn, this hostel is 3.1 mi (5 km) from Lower East Side Tenement Museum and 3.1 mi (5 km) from Brooklyn Bridge Park. Barclays Center Brooklyn and Prospect Park are also within 6 mi (10 km). Montrose Av. Station is 7 minutes by foot and Morgan Av. Station is 8 minutes. 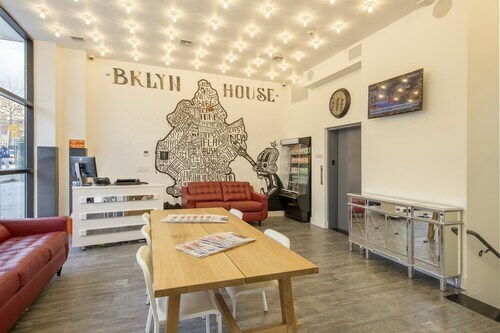 Located in Williamsburg, this hostel is within 3 mi (5 km) of Brooklyn Bridge Park, Barclays Center Brooklyn, and Prospect Park. Brooklyn Bridge and New York University are also within 3 mi (5 km). Hewes St. Station and Marcy Av. Station are within a 5-minute walk. 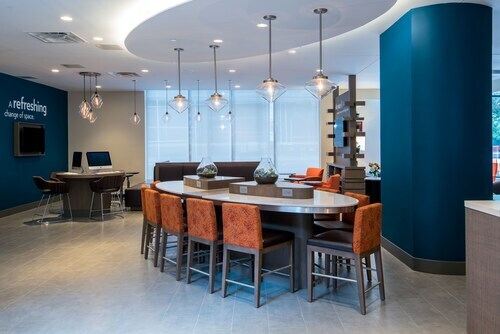 Located in Downtown Brooklyn, this hotel is within 2 mi (3 km) of Brooklyn Bridge Park, Barclays Center Brooklyn, and Brooklyn Bridge. Prospect Park and Brooklyn Heights Promenade are also within 2 mi (3 km). DeKalb Av. Station (Flatbush Av. Ext.) 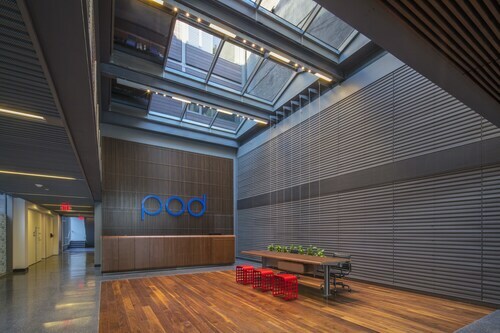 is 8 minutes by foot and Jay St. - Tech Station is 10 minutes. How Much is a Hotel Room in Brooklyn? 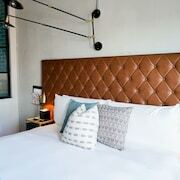 Hotels in Brooklyn start at $84 per night. Prices and availability subject to change. Additional terms may apply. Known for its famous Brooklyn Bridge, beautiful botanic garden, numerous museums, and quirky flea markets, Brooklyn is a city that's bursting at the seams with character. 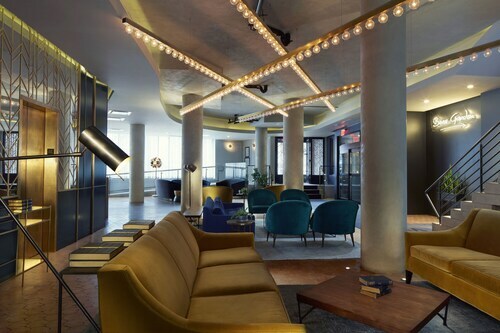 If you've been dying to experience Brooklyn and all it has to offer, book one of many Brooklyn hotels today and start planning your next adventure. 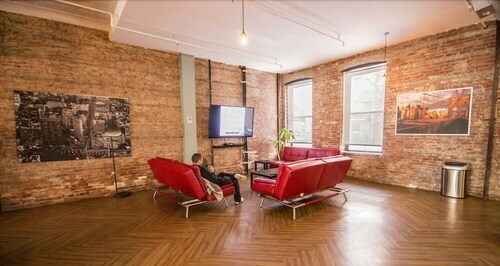 For a unique experience, stay at one of the many bed and breakfasts in Brooklyn. In addition to being quaint, these establishments often offer insider deals on nearby attractions. 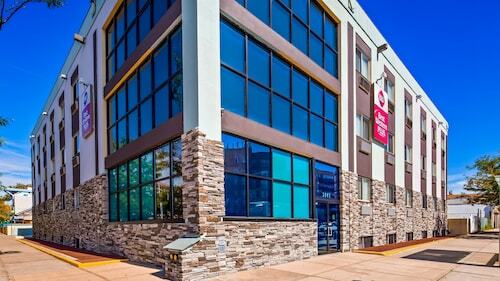 For a uniquely downtown feel, opt for one of the many hotels near Brooklyn College. When you're ready to see the city, head downtown for a peaceful walk in the Brooklyn Botanic Garden, which is near many of the hotels in Brooklyn. The garden boasts 52 acres and hundreds of species of rare cherry trees, grasses, and flowers. For a bit of Brooklyn history, head to Bldg 92, a former military base turned naval museum. To quell the shopping itch, check out the Brooklyn Flea, a sprawling flea market that offers everything from vintage clothing to antiques every weekend of the year. In the evening, head to the Brooklyn Bridge and enjoy the views of lower Manhattan and the city lights. For a breakfast to write home about, try Sweet Chick for a dose of chicken and waffles. For lunch, zip over to The Oasis for traditional Palestinian food such as vegetable salads, roasted meats, falafels, and tasty bread dips. For dinner, go all out and get yourself some mouth-watering Italian food at Frankies Spuntino, which offers homemade pasta and delicious seafood. For a post-dinner drink, head to June Wine Bar on Cobble Hill for a glass of delicious vino in an elegant atmosphere. Use Travelocity to find cheap hotels in Brooklyn today, and spend the money you save having fun in the most populous borough in New York. 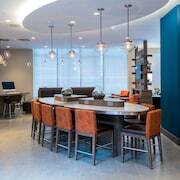 Good location, the employees work and attend the guest during the stay supper. 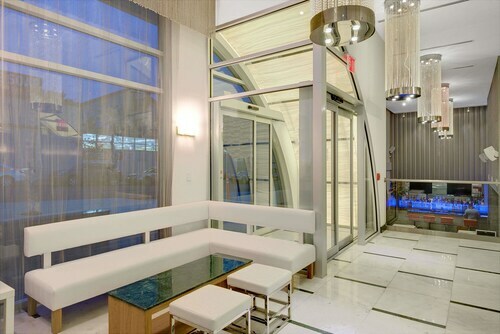 The front lobby attendants work with the in-coming guests in the best way. We enjoyed our stay very much. The room is very quite, we didn’t hear any noise from outside or other rooms which was very nice. The beds are amazingly comfortable. 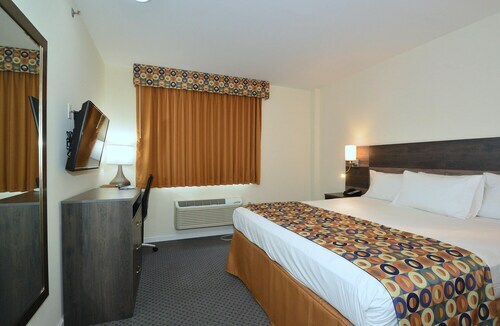 The staff was friendly and the rooms were very clean.